NextPax and Homeaway, A winning combination. Now listing on the world’s largest network of holiday rental sites is easier than ever. 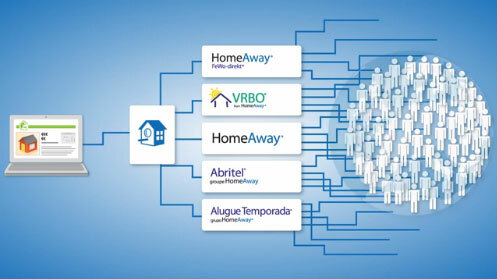 Great news: Homeaway is now integrated with some of the leading software providers in the holiday rental industry. This means you can now create and manage your listings on HomeAway brands using your existing software. The system syncs automatically, so every time you make an update to your online inventory using your software, the same updates appear on your HomeAway listings. Your property records can become new live listings on Homeaway instantly. When you update your property information (rental rates, availability calendar, photos and description) using NextPax, it automatically updates on Homeaway, meaning no manual input for you. Whatever new functionalities are developed on Homeaway, NextPax will maintain the quality of your listing on its site. Which part of my listings can be updated through the activation process? When you activate your connection, the following information will update automatically on your Homeaway listing: descriptions, facilities, photos, availability, bedroom and bathroom data, rental rates, and rental rates notes. Reviews and Contacts do not currently update. A high quality listing is as complete as possible, and has good quality content. Your account manager can advise you further on this. My software is integrated with Homeaway, but I have a support question. Who should I contact? For questions related to the activation and updates to Homeaway, please contact your Account Manager. How much does it cost to list with Homeaway? To learn more about Homeaway’s product offerings and pricing, contact your Account Manager. Are there any requirements to activate your software with Homeaway? Property managers need to have a minimum of 5 listings to be eligible to activate the integration between NextPax and Homeaway.